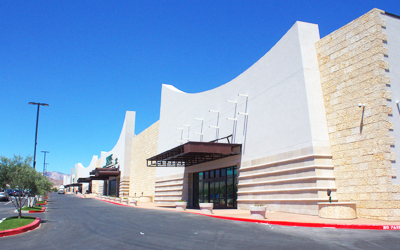 Description: The 220,000 sf Sahara Center at the northeast corner of Sahara Avenue and Hualapai Way is an 18-acre plaza that opened fall 2014. Sahara Center will be anchored by T.J. Maxx, Stein Mart, Sprouts Farmers Market, HomeGoods and Petco plus other national and regional brands. The center also offered pads fronting Sahara Avenue and Hualapai for neighborhood conveniences such as food and beverage outlets and dry cleaning. Sahara Center also provided much needed retail options to the residential neighborhoods and master planned communities in the area. Scope of Services: As a teaming partner with CTS, Fenagh provided complete design and construction package services, including preparation of a geotechnical report with geotechnical recommendations for design and materials testing services, utility trench work testing and special inspections services through the various phases, including design and construction including utilities, driveway, parking, retaining walls, and buildings. Special inspections will be provided for concrete, reinforcing steel, structural masonry, structural steel, fireproofing and exterior insulation finish systems (EIFS).